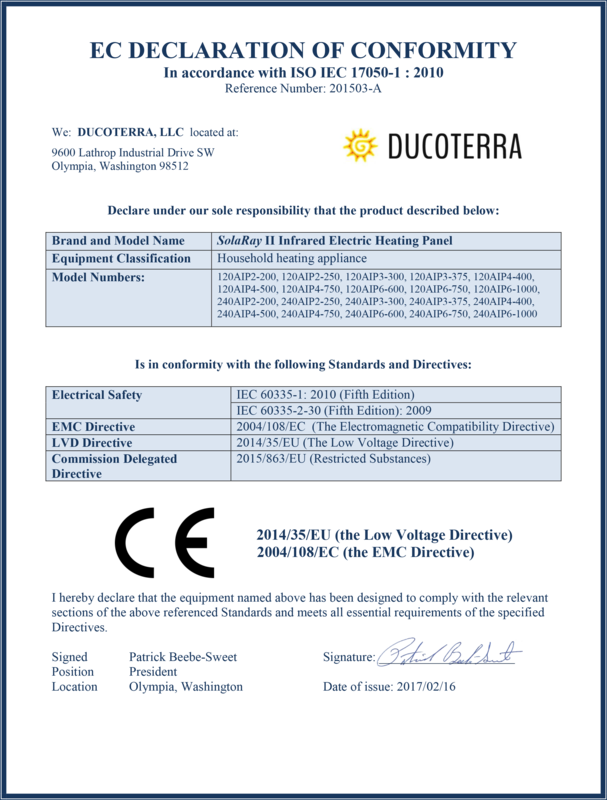 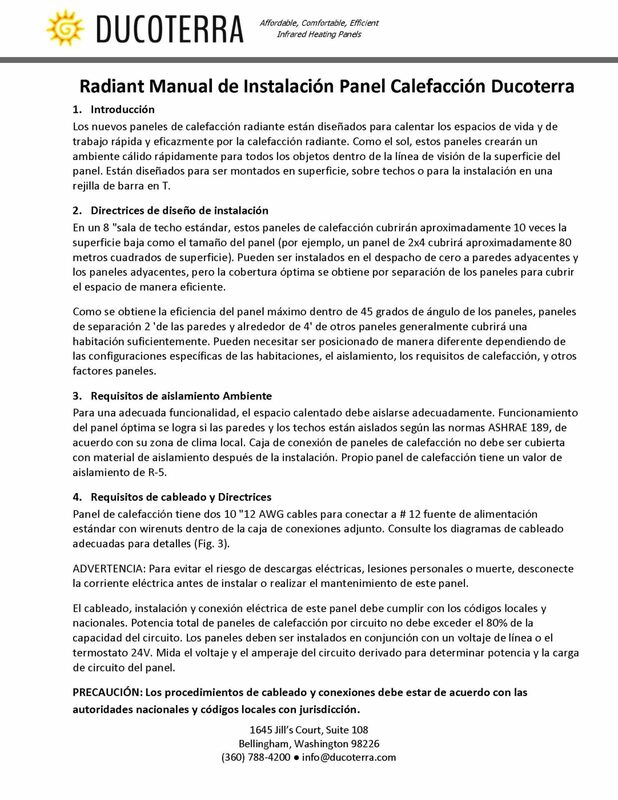 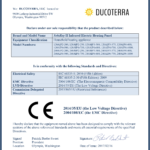 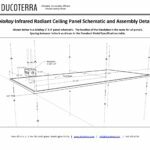 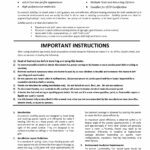 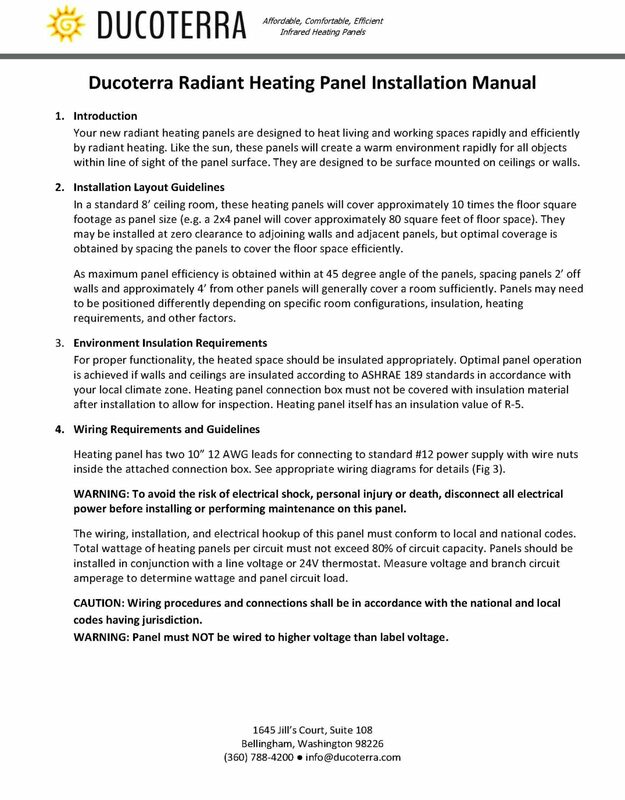 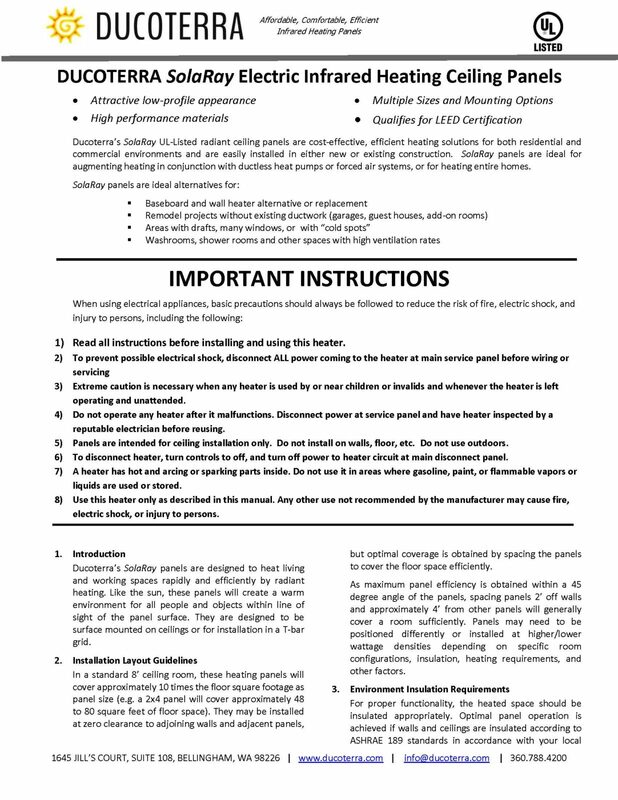 Technical Brochure – Complete product specifications, model listing, and installation guidelines for Ducoterra’s SolaRay II infrared radiant heating panels. 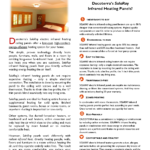 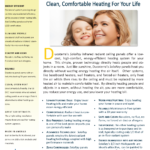 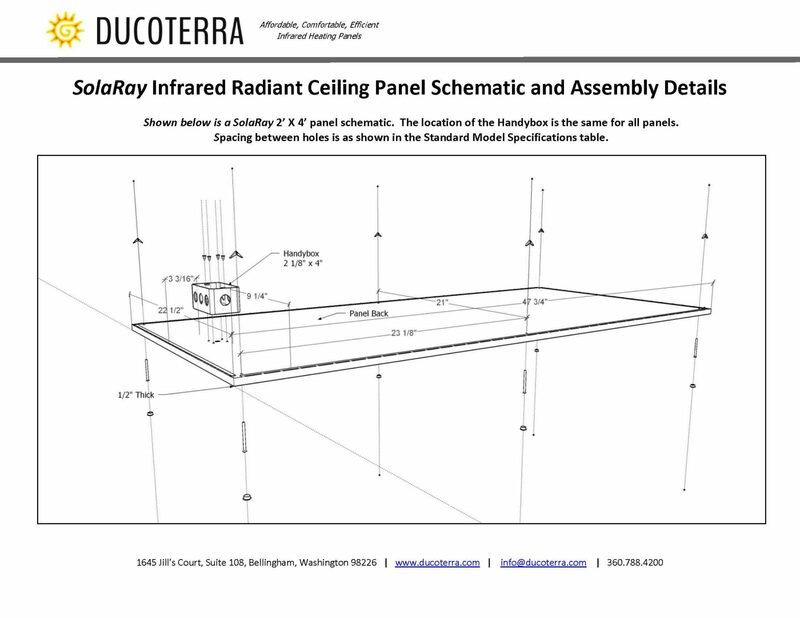 Ducoterra SolaRay Homeowner Brochure – Overview of features and benefits of Ducoterra’s infrared radiant ceiling heating panels. 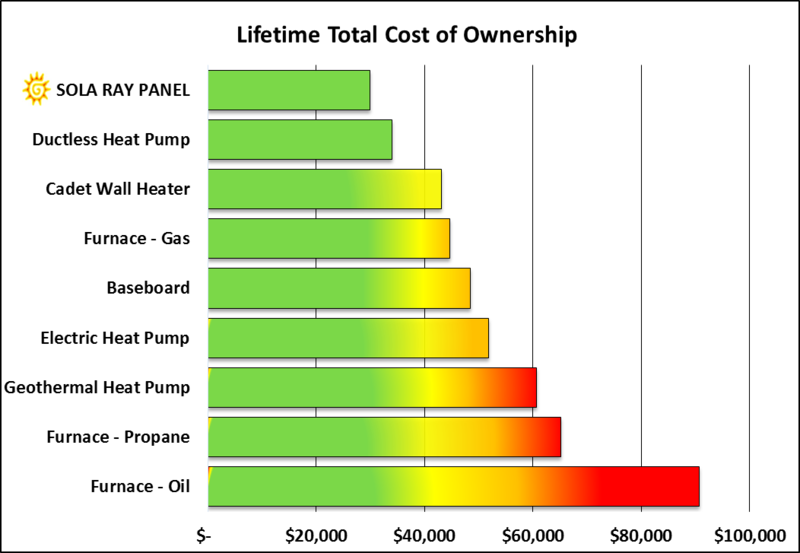 Why Choose SolaRay Panels? 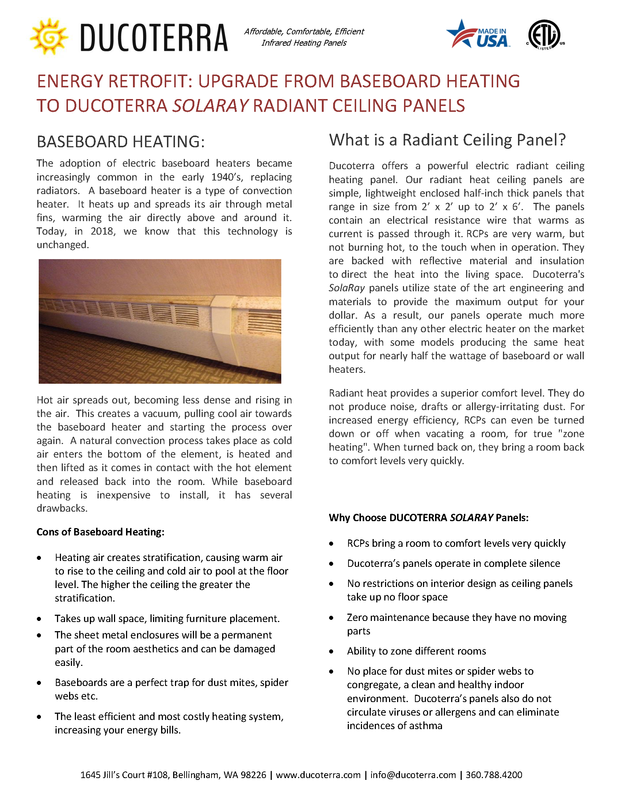 – Learn the 7 reasons why you should choose Ducoterra’s low-cost, high-comfort, energy-efficient infrared radiant heating panels. 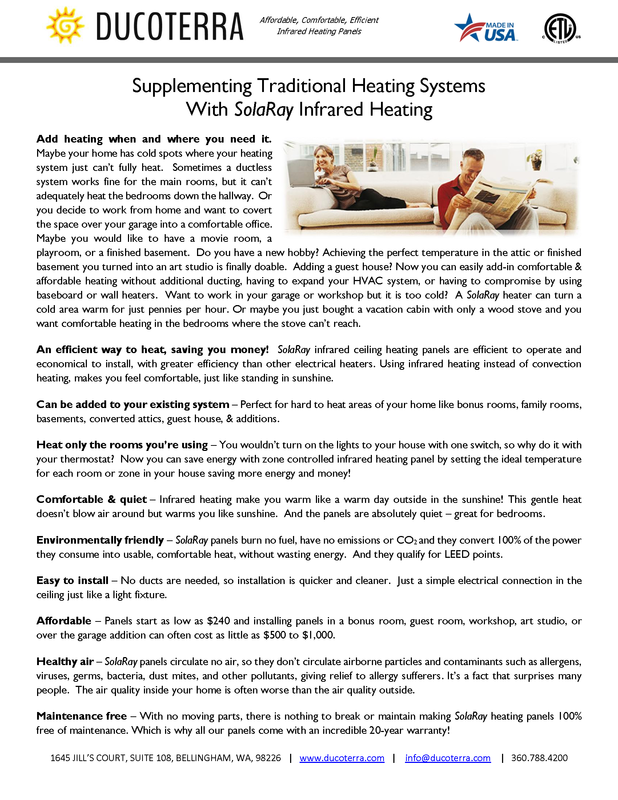 Supplementing Traditional Heating Systems Add heating to bedrooms, garages, basements, attics, guest houses, cabins – anywhere you need it for pennies per hour with SolaRay infrared radiant heating panels. 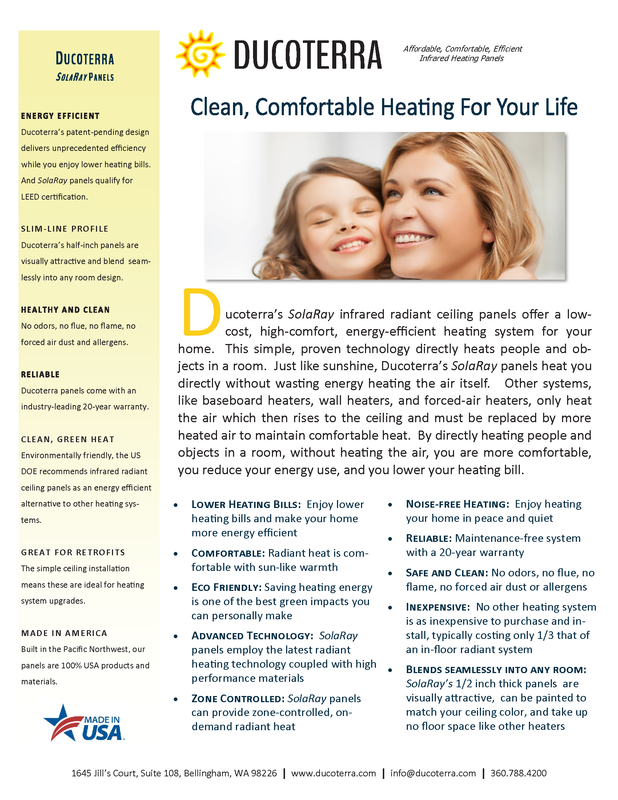 SolaRay Outperforms Wall and Baseboard Heaters – SolaRay infrared radiant heating panels are 35%-50% more efficient than wall or baseboard heaters and are the smart choice for bedroom and bathroom heating. 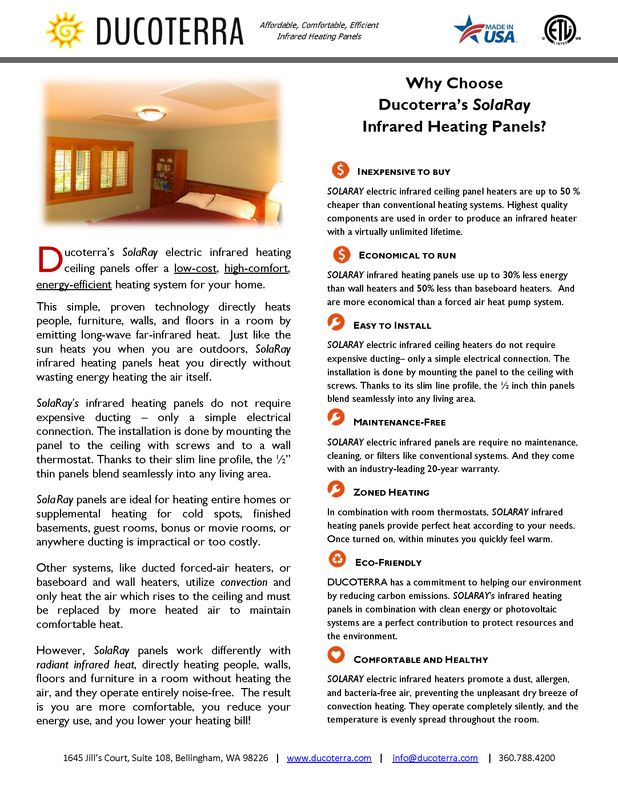 SolaRay and Ductless Work Together – SolaRay working in combination with a ductless heat pump can create a more cost effective heating system while maintaining a high standard of comfort and energy efficiency. 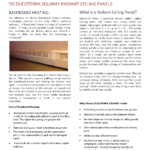 Upgrading baseboard heaters – Replace your old inefficient baseboard heaters with affordable, efficient SolaRay infrared radiant heating panels. 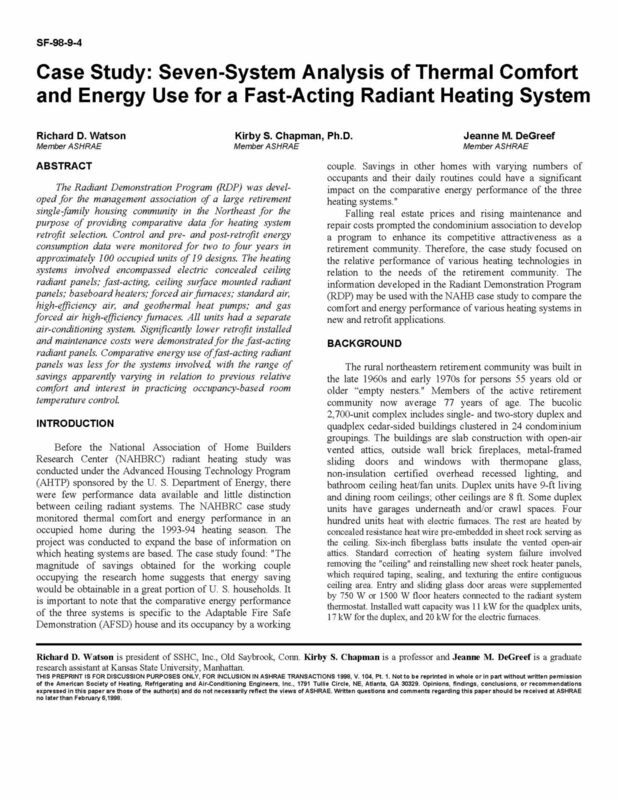 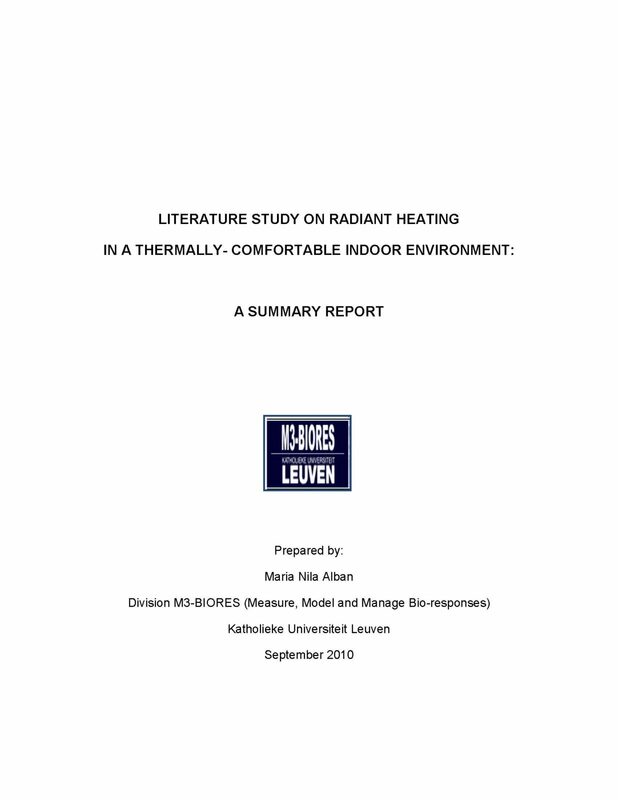 Are Radiant Heating Systems More Efficient? 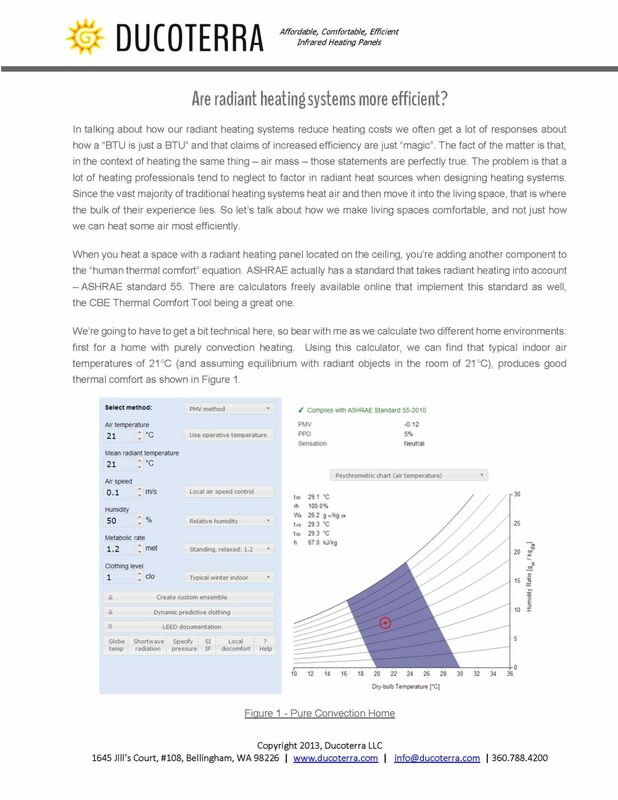 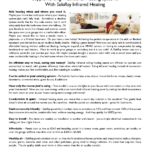 – Learn how infrared radiant heating systems achieve efficiency. 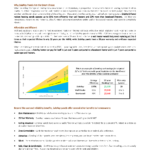 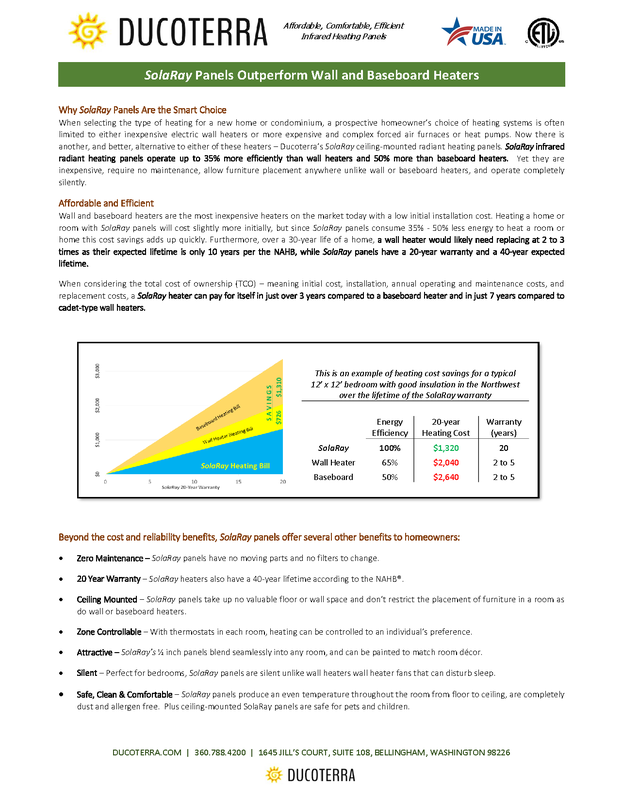 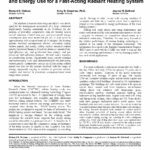 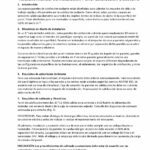 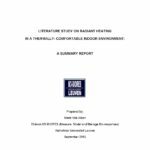 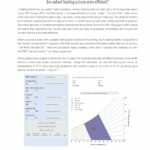 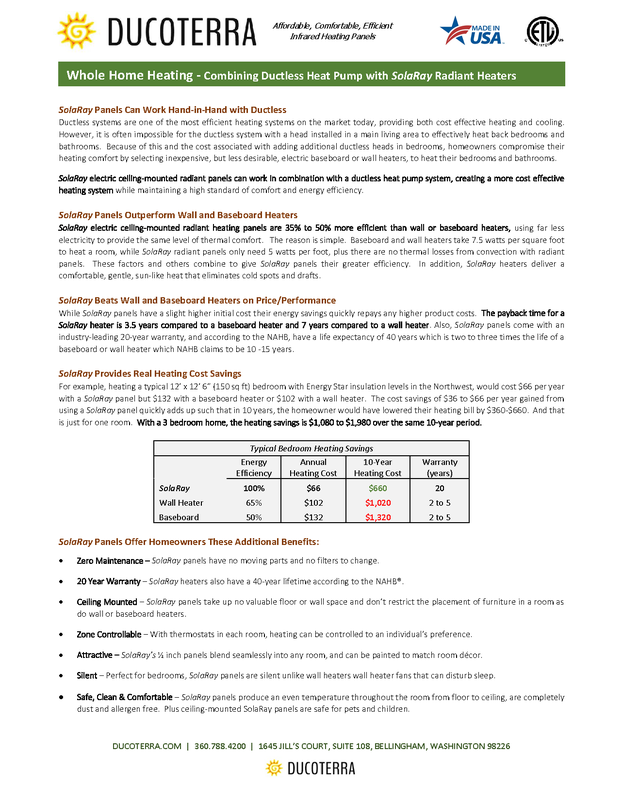 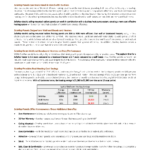 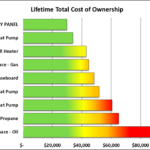 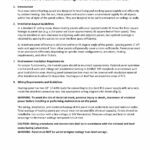 Heating System Cost and Performance Analysis Summary analysis of the most prevalent heating systems on the market today using based Coefficient of Performance modified by system design losses.